If your store only ships certain products to certain areas or if you think a certain product would be ideal to showcase to people in a certain location, you might want to consider creating a location based Smart Segment. Location based Smart Segments allows you to send emails only to people who are within a certain location or to people not in a particular location. How precise can location segmenting get? With SmartrMail, you are able to segment by location on three levels: city/suburb, state, and country level. Neto stores are also able to segment by postcode range within Australia. How do I segment by location? 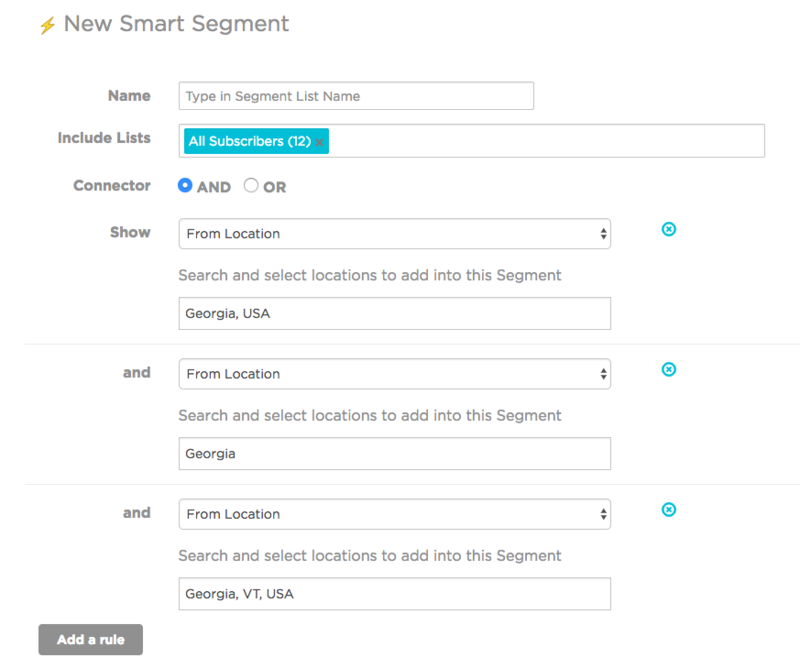 To segment by location, you will first want to create a new Smart Segment. You can do this by navigating to your ‘Subscribers’ tab at the top of your screen, then select the ’Smart Segments’ tab, and finally click the blue button to create a new Smart Segment. You will then be presented with options for creating a new Smart Segment. 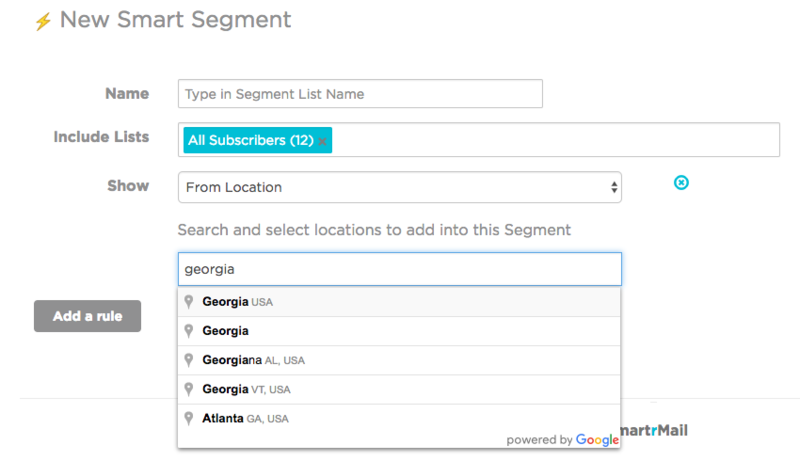 You will want to name your new Smart Segment something meaningful to you (subscribers will not see this) and then select either “From Location” or “Not From Location” from the available list of segmentation rules. Neto users can also select "Post Code is between" and "Post Code is not between" for segmenting within Australia. In the image below, the rule “From Location” and the location ‘Georgia’ were used. As you can see, this generates a list of possible locations to choose from. This particular name generates country, state, and city options to choose from. In order for location segmentation to work, customers within your e-commerce store need to have location data (such as a billing or shipping address) included in their customer account. While you do not need to have location data for every customer in your store, if someone does live in a location you wish to exclude, but their customer file within your ecommerce store does not contain this information, they will receive the email anyway. To learn more about using Smart Segments, you can check out our support document on Smart Segments here.